"Stanley Hotel" redirects here. For the hotel in Nairobi, Kenya, see Stanley Hotel, Nairobi. The Stanley Hotel is a 142-room Colonial Revival hotel in Estes Park, Colorado, United States of America. Approximately five miles from the entrance to Rocky Mountain National Park, the Stanley offers panoramic views of Lake Estes, the Rockies and especially Long's Peak. It was built by Freelan Oscar Stanley of Stanley Steamer fame and opened on July 4, 1909 as a resort for upper class easterners and a health retreat for sufferers of pulmonary tuberculosis. The hotel and its surrounding structures are listed on the National Register of Historic Places. The Stanley Hotel served as the inspiration for the Overlook Hotel in Stephen King's 1977 bestselling novel The Shining and as the filming location for the 1997 TV miniseries, also written by King. Today, the hotel features a restaurant, spa and bed-and-breakfast, and provides guided tours. 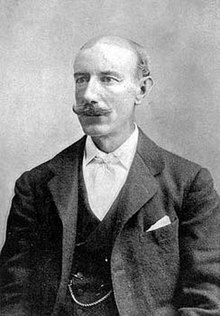 In 1903, the Yankee steam-powered car inventor Freelan Oscar Stanley (1849-1940) was stricken with a life-threatening resurgence of tuberculosis. The most highly recommended treatment of the day was fresh, dry air with lots of sunlight and a hearty diet. Therefore, like many "lungers" of his day, Stanley resolved to take the curative air of the Rocky Mountains. He and Flora arrived in Denver, Colorado in March and, in June, on the recommendation of Dr. Sherman Grant Bonney, relocated to Estes Park, Colorado for the rest of the summer. Over the course of the season, Stanley's health improved dramatically. Impressed by the beauty of the valley and grateful for his recovery, he decided to return every year. He lived to the ripe age of 91, dying of a heart attack in Newton, Massachusetts, one year after his wife, in 1940. By 1907, Stanley had recovered completely. However, not content with the rustic accommodations, lazy pastimes and relaxed social scene of their new summer home, Stanley resolved to turn Estes Park into a resort town. In 1907, construction began on the Hotel Stanley, a 48-room grand hotel that catered to the class of moderately wealthy urbanites who composed the Stanleys' social circle back east as well as to consumptives seeking the healthful climate. The land was officially purchased in 1908 through the representatives of Lord Dunraven, the Anglo-Irish peer who had originally acquired it by stretching the provisions of the Homestead Act and pre-emption rights. Between 1872 and 1884, Dunraven claimed 15,000 acres (61 km2) of the Estes Valley in an unsuccessful attempt to create a private hunting preserve, making him one of the largest foreign holders of American lands. Unpopular with the local ranchers and farmers, Dunraven left the area for the last time in 1884, relegating the ranch to the management of an overseer. Dunraven's presence in Colorado had become so well known in the United States that his situation was parodied in Charles King's novel Dunraven Ranch (1892) as well as James A. Michener's Centennial (1974). His reputation was such that, when Stanley suggested "The Dunraven" as a name for his new hotel, 180 people signed a buckskin petition requesting that he name it for himself instead. The main hotel and concert hall were completed in 1909 and the Manor in 1910. To bring guests from the nearest train depot in the foothills town of Lyons, CO, Stanley's car company produced a fleet of specially-designed steam-powered vehicles called Mountain Wagons which seated 9 to 12 passengers. Stanley operated the hotel almost as a pastime remarking once that he spent more money than he made each summer. In 1926, Stanley sold his hotel to a private company incorporated for the sole purpose of running it. The venture failed and, in 1929, Stanley purchased his property out of foreclosure selling it again, in 1930, to fellow automobile and hotel magnate, Roe Emery of Denver. Until 1983, the resort was only open during the summer, shutting down for the winter every year. The presence of the hotel and Stanley's own involvement greatly contributed to the growth of Estes Park (incorporated in 1917) and the creation of the Rocky Mountain National Park (established in 1915). The Stanley Hotel National Register Historic District contains eleven contributing structures including the main hotel, the concert hall, a carriage house, manager's cottage, gate house and The Lodge - a smaller bed-and-breakfast originally called Stanley Manor. The buildings were designed by F.O. Stanley with the professional assistance of Denver architect T. Robert Wieger, Henry "Lord Cornwallis" Rogers, and contractor Frank Kirchoff. The site was chosen for its vantage overlooking the Estes valley and Long's Peak within the National Park. The main building, concert hall and Manor House are steel-frame structures on foundations of random rubble granite with clapboard siding and asphalt shingle roof. Originally, Stanley chose a yellow ocher color for the buildings' exteriors with white accents and trim. Lumber used in the structures was harvested from the areas of Bierstadt Lake and Hidden Valley in the future national park, and purchased from Kirchoff's Lumberyard in Denver and Bluff City Lumber Company of Pine Bluff, Arkansas. The granite was quarried from the Baldwin property near the confluence of Beaver Brook and the Big Thompson River. Non-local materials were brought to Lyons, Colorado by rail and thence to Estes Park by mule-drawn wagon. Upon opening in 1909, the hotel was one of first in the country to be fully electrified from the lighting to the kitchens (although the light fixtures could be operated with either electricity or gas). To supply his hotel with power, Stanley led the construction of the Fall River Hydroplant which also brought electricity to the town of Estes Park for the first time. Every guest room had a telephone and each pair of rooms shared an en suite bathroom with running water supplied by Black Canyon Creek, which had been dammed in 1906. Circa 1935, during Roe Emery's tenure as owner the ochre-colored siding was painted white and most of the original electro-gas fixtures were replaced. "An ideal site for a sanitarium, or, in fact, for all buildings designed especially for pulmonary invalids, should be upon the southern slope of a hill or near the base of a moderately high mountain. In order to afford shelter from the prevailing winds, the building should be located according to regional weather conditions either to the east or the west of a spur extending southward. It is still more advantageous if the mountain rises to a considerable distance in the far background, even to a height of several hundred feet . . . The soil should be dry, porous and sandy although a rocky formation is not undesirable. On account of the necessity of irrigation in dry climates, no elaborate attempt should be made to beautify the grounds by laying out expansive lawns or by disposing flower-gardens in the immediate vicinity of the sanitarium, although such ornamentation adds greatly to the attractiveness of the institution. Undoubted benefit accrues to the invalid from a pleasing landscape. Attractive views, combining land and sky effect, contribute to a remarkable degree in breaking an unceasing monotony. Definite inspiration and elevation of spirits are not infrequently afforded by the sublimity of scenic grandeur witnessed in mountain resorts." This text is accompanied by a photograph of, "the delightful view afforded from the porches of cottages for consumptives in Estes Park, Colorado." The hotel also provided the ample porches, ventilation, southern exposure, and appetizing food recommended in Bonney's book. The style of the Stanley Hotel campus is colonial revival. The strong symmetrical arrangement of the primary facade, and the classically derived ornamental articulations such as the two-stage octagonal cupola, Palladian window, fanlights, dormers, swan's neck pediments, scroll brackets, paired Tuscan columns, oval ox-eye windows, and elaborately turned balusters are all stylistic hallmarks of American Georgian or Federal design. The clapboard siding and carved wood elements are characteristic of New England's regional building practices. And yet, these features are modified and arranged in ways that cannot be found in any historic example. These inaccuracies are due less to ignorance of historic design principles than a desire to utilize historical elements in light of modern design principles. By the 1920s, this approach to colonial revival design was supplanted by a more accurate use of historical details. The style of the hotel contrasts sharply with the rustic style used for the other hotels in Estes Park, before and after the Stanley's construction. However, it was not an uncommon choice for a hotel of the Stanley's size and quality in the time period (e.g. Royal Poinciana Hotel, Lake Yellowstone Hotel, Mount Washington Hotel). In general, the colonial revival symbolized the unique historical development of the United States and its role in forming a unique American identity, characterized by the New England ethos and the political ideals of the founding fathers. These characteristics were supposed to be especially embodied by the traditional architecture of New England which was admired for its elegance and functionalism. Thus, everywhere the Colonial Revival was seen, it symbolized the progress of American Civilization based upon enduring traditional values. By the same token, the style of the Stanley was a reflection of the clientele's back-east gentility as well as an advertisement for the hotel's modern comforts and the future potential of Estes Park as a posh resort town. All of these connotations were heightened in contrast with the ruggedness of the Rocky Mountains and the rusticity of the other hotels in the area. The floor plan of the main hotel (completed 1909) was laid out to accommodate the various activities popular with the American upper class at the turn of the twentieth century and the spaces are decorated accordingly. The music room, for instance, with its cream-colored walls (originally green and white), picture windows and fine, classical plaster-work was designed for letter-writing during the day and chamber music at night - cultured pursuits perceived as feminine. On the other hand, the smoking lounge (today the Piñon Room) and adjoining billiard room, with their dark stained-wood elements and granite arch fireplace were designated for enjoyment by male guests. Stanley himself, having been raised in a calvinist household in the tee-totaling State of Maine and having recovered from a serious lung disease, did not smoke cigars or drink alcohol, but these were essential after-dinner activities for most men at the time. Billiards, however, was among Stanley's most cherished pastimes. When the hotel opened, 48 guest rooms, each with a telephone and each pair sharing a bathroom. With no central heating or ventilation system, the structure was designed to facilitate natural airflow; the Palladian window at the top of the grand stair could be opened to induce a cross-breeze through the lobby, French doors in all the public spaces open onto verandas, and two curving staircases connecting the guest corridors prevent stagnant air in the upper floors. Although the main hotel is now heated in the winter, guests still depend on natural ventilation for cooling in the summer. Within a few years of opening, a hydraulic elevator was put in operation. In 1916, the east wing of the main building was extended in the rear adding several guest rooms. Around this time, the alcove of the music room was added. In 1921, a rear veranda was enclosed forming a room that currently serves as a gift shop. Around 1935, the hydraulic elevator system was replaced with a cable-operated system and extended to the fourth floor necessitating the addition of a secondary cupola to house the mechanical apparatus. Originally, a porte-cochere extended from the central bay of the front porch, but this was removed when the south terrace was converted into a parking lot. In 1983, a service tunnel was excavated, connecting the basement-level corridor to the staff entrance. It is cut directly through the living granite on which the hotel rests. The concert hall, east of the hotel, was built by Stanley in 1909 with the assistance of Henry "Lord Cornwallis" Rogers, the same architect who designed his summer cottage. According to popular legend, it was built by F.O. Stanley as a gift for his wife, Flora. The interior is decorated in the same manner as the music room in the main hotel and vaguely resembles that of the Boston Symphony Hall (McKim, Mead & White, 1900) with which the Stanleys would have been familiar. The stage features a trap door, used for theatrical entrances and exits. The lower level once housed a two-lane bowling alley which was removed during the ownership of Maxwell Abbell. It possibly resembled the bowling alley at the Stanley's Hunnewell Club in Newton, pictures of which are archived in the Newton Free Library. The hall underwent extensive repair and renovation in the 2000s. Once called Stanley Manor, this smaller hotel between the main structure and the concert hall is a 2:3 scaled-down version of the main hotel. Unlike its model, the manor was fully heated from completion in 1910 which may indicate that Stanley planned to use it as a winter resort when the main building was closed for the season. However, unlike many other Colorado mountain towns now famous for their winter sports, Estes Park never attracted off-season visitors in Stanley's day and the manor remained empty for much of the year. Today it is called The Lodge and serves as a bed-and-breakfast off-limits to the public. Any big hotels have got scandals [sic]. . . . Just like every big hotel has got a ghost. Why? Hell, people come and go. Sometimes one of ‘em will pop off in his room, heart attack or stroke or something like that. Hotels are superstitious places. Some time in 1974, horror writer Stephen King and his wife Tabitha spent one night at the Stanley Hotel during their brief residency in Boulder, Colorado. At the time, King was struggling with Darkshine as the working title. King had set the events of the book in an amusement park but he felt a more isolated setting was necessary. 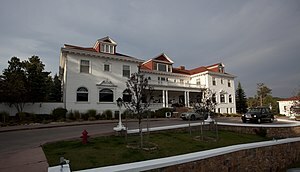 According to George Beahm's Stephen King Companion, "on the advisement of locals who suggested a resort hotel located in Estes Park, an hour's drive away to the north, Stephen and Tabitha King found themselves checking in at the Stanley Hotel just as its other guests were checking out, because the hotel was shutting down for the winter season. After checking in and after Tabitha went to bed, King roamed the halls and went down to the hotel bar, where drinks were served by a bartender named Grady. As he returned to his room, numbered 217, his imagination was fired up by the hotel's remote location, its grand size, and its eerie desolation. And when King went into the bathroom and pulled back the pink curtain for the tub, which had claw feet, he thought, 'What if somebody died here? At that moment, I knew I had a book.'" In a 1977 interview by the Literary Guild, King recounts, "while we were living [in Boulder] we heard about this terrific old mountain resort hotel and decided to give it a try. But when we arrived, they were just getting ready to close for the season, and we found ourselves the only guests in the place — with all those long, empty corridors." King and his wife were served dinner in an empty dining room accompanied by canned orchestral music; "Except for our table all the chairs were up on the tables. So the music is echoing down the hall, and, I mean, it was like God had put me there to hear that and see those things. And by the time I went to bed that night, I had the whole book [The Shining] in my mind." In another retelling, King says, "I dreamed of my three-year-old son running through the corridors, looking back over his shoulder, eyes wide, screaming. He was being chased by a fire-hose. I woke up with a tremendous jerk, sweating all over, within an inch of falling out of bed. I got up, lit a cigarette, sat in a chair looking out the window at the Rockies, and by the time the cigarette was done, I had the bones of The Shining firmly set in my mind." The Shining was published in 1977 and became the third great success of King's career after Carrie and 'Salem's Lot. The primary setting is an isolated Colorado resort called the Overlook Hotel which closes for the winter. In the front matter of the book, King tactfully states, "Some of the most beautiful resort hotels in the world are located in Colorado, but the hotel in these pages is based on none of them. The Overlook and the people associated with it exist wholly in the author's imagination." King locates the Overlook Hotel near the fictional town of Sidewinder which is supposed to be near Estes Park. The Stanley Hotel is never mentioned. Notwithstanding King's efforts to explicitly differentiate the Overlook Hotel from the Stanley, it seems that King imagined the Stanley Hotel as the setting of The Shining. Room 217 of the Overlook features prominently in the novel, having been the room where King spent the night at the Stanley. This is the room on the second floor in the center of the west wing with a balcony overlooking the south terrace. Room 217 remains the Stanley's most requested accommodation. Despite its connection with Stephen King's novel, the Stanley Hotel has little to do with Stanley Kubrick's iconic 1980 film adaptation. Kubrick's vision for the movie differed significantly from King's in many ways, including the portrayal of the Overlook Hotel. The exteriors of Kubrick's Overlook were supplied by the Timberline Lodge (built 1936-38) near Mt. Hood in Oregon and inspiration for the interior sets (erected at Elstree Studios in the UK) came primarily from the Ahwahnee Hotel (built 1927) in Yosemite National Park. The management of the Timberline Lodge, fearful that guests would refuse to stay in their Room 217 if it were featured in a horror movie, insisted that Kubrick change the haunted room in the film to Room 237. King was apparently displeased with Kubrick's film, based mainly on Jack Nicholson's portrayal of Jack Torrance. In 1996, Warner Brothers secured the television rights to The Shining and produced a miniseries (stylized as Stephen King's The Shining) with a script by Stephen King. Thanks to King, the Stanley Hotel was chosen as the primary shooting location. A playhouse version of the main building which adorned the lawn of the Overlook Hotel in the series can be viewed in the basement of the Stanley. In 2015, the open area in front of the hotel, originally a driveway for Stanley Steamers and a promenade for guests to enjoy mountain views, was replaced with a hedge maze. This non-historic feature was added to evoke the hotel's connection to The Shining. Although a hedge maze features prominently in Stanley Kubrick's film, no such feature appears in King's novel. The lawn of the Overlook Hotel, as King imagined it, was adorned with topiary animals and it was set that way for the shooting of Stephen King's The Shining. Historically, neither existed at the Stanley. The design was the result of a competition, chosen from amongst 300 entrants from across the globe. The following year, another competition was held to design a focal point for the hedge maze. Sculptors Sutton Betti and Daniel Glanz won the competition with a sculpture of F.O. Stanley holding one of his violins. The sculpture was installed and dedicated on September 29, 2016. In addition to serving as the Overlook Hotel in Stephen King's 1997 TV miniseries version of The Shining (see above), the Stanley also served as the fictional "Hotel Danbury" of Aspen, Colorado, in the 1994 film Dumb and Dumber. From 2013 to 2015, the hotel property hosted the Stanley Film Festival, an independent horror film festival operated by the Denver Film Society, held in early May. The festival featured screenings, panels, student competitions, audience awards and receptions. The Stanley Film Festival was put on hiatus in 2016, and canceled for 2017. Bravo's cooking competition, Top Chef, also used the Stanley as a venue for Episode 10 of Season 15, all of which took place in various locations around Colorado. Despite a peaceful early history, in the years following the publication of The Shining, the Stanley Hotel gained a reputation as a setting for paranormal activity. It has hosted numerous paranormal investigators and appeared in shows such as Ghost Hunters and Ghost Adventures. The hotel also offers guided day and night tours of its "spirited history" to guests and visitors which feature spaces reputed to be exceptionally active. ^ a b c Kathy Weiser. "The Haunted Stanley Hotel in Estes Park, Colorado". LegendsOfAmerica.com. Retrieved Dec 24, 2018. ^ a b c "Rocky Mountain National Park - Culture". US-Parks.com. Retrieved 2007-05-10. ^ Sherman Grant Bonney (1908). Pulmonary tuberculosis and its complications, with special reference to diagnosis and treatment. W.B. Saunders Company. p. 782. ^ "The Steamer, "The Shining," and the Stanley Hotel". The Attic. Retrieved 25 July 2018. ^ a b Beahm, George (September 1998). Stephen King from A to Z: An Encyclopedia of His Life and Work. Andrews McMeel Publishing. ISBN 9780836269147. ^ George Beahm (2015). The Stephen King Companion: Four Decades of Fear from the Master of Horror.. New York: Thomas Dunne Books. pp. 126–27. ^ Quoted in George Beahm, The Stephen King Companion. (Andrews McMeel Publishing, 1989), 128. ^ George Beahm,Stephen King: America's Best Loved Boogeyman (Andrews McMeel Press, 1998). ^ "Stanley Hotel Ghost Story". Allstays.com. Retrieved 2007-05-09. ^ McHargue, Brad. "Inaugural Stanley Film Festival to Showcase Independent Horror Cinema May 2–5 at the Stanley Hotel". Mile High Cinema. Archived from the original on 23 March 2014. Retrieved 19 February 2013. ^ Walker, Chris (15 November 2016). "Stanley Hotel Cancels 2017 Horror Film Fest; Film Center Director Resigns". Westword. Retrieved 27 March 2017. ^ "Haunted Hotel History". www.stanleyhotel.com. Archived from the original on June 2, 2015. ^ "Stanley Ghost Stories Shine with Authenticity". www.stanleyhotel.com. Archived from the original on July 12, 2013. ^ McCarthy, Sky (14 April 2016). "Stanley Hotel guest captures creepy figure in lobby". Fox News. ^ "The Stanley Hotel: Season 2, Episode 22". Syfy. ^ "Best of the Stanley Hotel: Season 3, Episode 5". Syfy. ^ "Stanley Hotel - Ghost Adventures - TravelChannel.com". Travel Channel. ^ "Hotel Tours | Estes Park Colorado Tours | The Stanley Hotel". www.stanleyhotel.com. ^ Greg Newkirk (March 24, 2016). "UPDATED: Colorado's Famously Haunted Stanley Hotel Suspends Paranormal Investigations". weekinweird.com. ^ Funk, Rainer (2000). Erich Fromm: His Life and Ideas, an Illustrated Biography. A&C Black. p. 82. ISBN 9780826415196. Retrieved 14 October 2017. ^ Mitchell, Steve (2016). Legendary Locals of Estes Park. Arcadia Publishing. ISBN 9781439655955. Retrieved 14 October 2017. 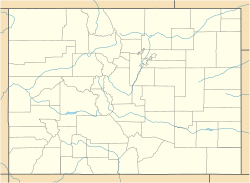 ^ "Headquarters at Estes Park for Alf Landon". Newspapers.com. Greeley Daily Tribune from Greeley, Colorado. June 24, 1936. Retrieved 14 October 2017. ^ Johnson, Tracy (2000). Encounters with Bob Dylan: If You See Him, Say Hello. humble Press. ISBN 9780964700925. Retrieved 14 October 2017. ^ "(album.rmnp100.com)". album.rmnp100.com. Retrieved 14 October 2017. ^ "9 Places From TV And Movies You Can Actually Visit". Huffington Post. 2014-06-23. Retrieved 2018-01-30. ^ Tuckwood, Jan (September 21, 1997). "King's Room 217". tribunedigital-chicagotribune. Retrieved 2018-01-30. ^ a b c yongli (2016-03-16). "Stanley Hotel". coloradoencyclopedia.org. Retrieved 2018-04-03. ^ "Colorado Funeral of Stanley Hotel Owner Is Held". Greeley Daily Tribune. Greeley, Colorado. July 11, 1957. p. 11. Retrieved 2018-04-03 – via Newspapers.com. ^ a b "Estes Park Hotel Sold to Three For ​1 1⁄3 Million". The Kansas City Times. Kansas City, Missouri. November 21, 1968. p. 33. Retrieved 2018-04-03 – via Newspapers.com.